Beth Winokur: Welcome Margo Bond Collins! Q:Welcome Margo, first I'd like thank you for stopping by, it's nice to meet you. Please tell us about yourself. A: In my other life, I’m a college professor; I teach English courses online. I live in Texas with my husband and our daughter and a number of thoroughly silly animals. 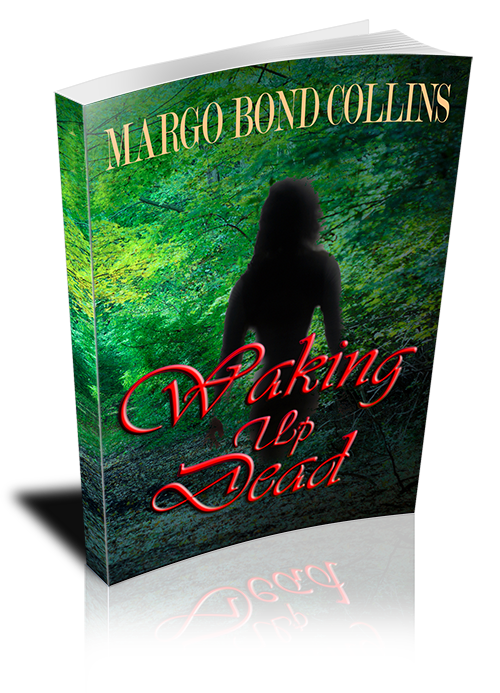 Waking Up Dead is my first published novel. My second novel, Legally Undead, is an urban fantasy forthcoming in 2014 from World Weaver Press. I got the offers to publish the two novels in the same month. That was officially the best month of my life! Q: Congratulations! That definitely qualifies as a good month. Tell us about Waking Up Dead. A: In Waking Up Dead, when Dallas resident Callie Taylor died young, she expected to go to Heaven, or maybe Hell. Instead, she met her fate early thanks to a creep with a knife and a mommy complex. Now she's witnessed another murder, and she's not about to let this one go. She's determined to help solve it before an innocent man goes to prison. And to answer the biggest question of all: why the hell did she wake up in Alabama? Q: Sounds like a fun read! What inspired you to write Waking up Dead? A: I wrote Waking Up Dead when I lived in Alabama for a few years. I remember driving to work one morning and seeing just a wisp of fog move across the statue in the middle of the town square. The statue was of some Civil War figure, and thought that it looked oddly ghostly. In between teaching classes that day, I started writing Callie’s story. Q:I agree creepy statues can be very inspirational! 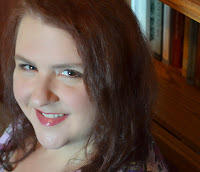 So on to the fun questions, If you could meet three authors, which authors would you choose? A: I’m worried I would go all star-struck and not be able to say anything coherent! But assuming I could keep my wits about me, I would like to meet (in no particular order): Neil Gaiman, because he’s so bloody brilliant; Charles Stross, whose sense of the absurd always delights me; and Anne Aguirre, because she’s so beautifully outspoken about what it means to be a woman who writes science fiction. Q: Gaiman is one of my favorites too! He doesn't know it yet, but he plans on taking me to dinner and telling me bedtime stories ;) but that is not what we are here to talk about is it. So, what are you currently working on? A: Piles of projects! I’m currently doing a round of edits to Legally Undead, the first of the Vampirarchy urban fantasy series coming out from World Weaver Press in 2014. I’m working on the sequels to Waking Up Dead and Legally Undead. I’m working on a contemporary romance novel. I’m editing a number of academic projects, too—mostly collections of essays about science fiction and fantasy televisions series like Farscape, The Vampire Diaries, and Supernatural. Q:Whew, more power to you! A busy writer is a happy writer. What was the most challenging part about writing Waking up Dead? A: Making sure the mystery made sense! About halfway through I figured out that I was going to need to solve the mystery before the characters did! So at that point I decided where I was headed, generally—but the characters took me where I needed to go. Q: When did you know you wanted to become an author? A: I’ve always known, for as long as I can remember. The first story I remember actually writing down was basically fan-fiction of The Wizard of Oz. I wrote it in long-hand in a yellow legal pad. I’ve been writing ever since. Q:Fun stuff. I did a similar thing with Pippy Longstalking when I was a kid. I wanted my own adventure with her, so I wrote myself into the story...two redheads can get into a lot of trouble -- I had some great adventures with Pip. You mentioned earlier that you were a fast writer - you said it took you six weeks from start to finish to write Waking Up Dead, I'm interested in what your editing process is like? A: I edit on the sentence level as I go, changing things around as necessary. But I also tend to write in scenes, and if a scene isn’t working, I will simply put a reminder in brackets—something like this: [FIX THIS SCENE]. Then I move on. So the first editing step is always to do a search for those brackets and do my best to address the issues. Once I’ve done that, I do a read-through for plot coherence. Then I do a final read-through for any other issues. And then I quit for a while so I can get some distance before I come back to it for a final proofreading session. Q: Thank you so much for visiting and writing interesting stories. I have one more question for you, and by your level of busyness, I can tell that this will be easy for you to answer -What can we expect from you in 2014?